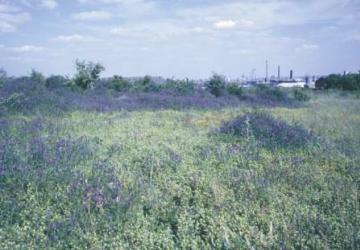 Brownfield sites are the new lowland heaths and flower-rich meadows (Jones, 2003), and in the Thames Gateway support populations of many Red Data Book, Nationally Scarce and Essex Red Data species (Plant & Harvey, 1997; Harvey, 2000), as well as a number included in the UK Biodiversity Action Plan, such as the Shrill Carder Bee Bombus sylvarum, the Brown-banded Carder Bee Bombus humilis, the picture winged fly Dorycera graminum, the solitary wasps Cerceris quinquefasciata and C. quadricincta and the ground beetle Anisodactylus poeciloides. In order to understand where all these species come from it is first necessary to appreciate why brownfield habitats can support such a high biodiversity. On the best sites these habitats are often a complex mosaic, structurally diverse and with very flower-rich grasslands as well as bare ground, sparsely vegetated areas, lichen heath and ruderal vegetation. This is usually because they have developed on nutrient-poor and sometimes contaminated substrates, and are subject to sporadic disturbance. Other important habitats within the mosaic to be found on a number of Thames-side sites include early successional and upper saltmarsh, seasonally wet, sometimes saline habitats and Phragmites areas. PFA and sand extraction sites can provide habitats comparable to dune and soft rock cliffs. All these habitats may support very large and diverse invertebrate assemblages, vastly more so than the modern agricultural countryside and many semi-natural habitats. In fact they have much more in common with the historic wildlife-rich countryside than the intensively farmed modern version. Although sparsely vegetated ground and early successional habitats are key features, brownfield sites take time to develop important wildlife assemblages or contain areas that have been abandoned for many years. In the Thames Gateway, the dry climate and high summer sunshine levels mean that early successional habitats on poor substrates persist for long periods of time, even without management, with sites remaining open for as much as 50 years or more. 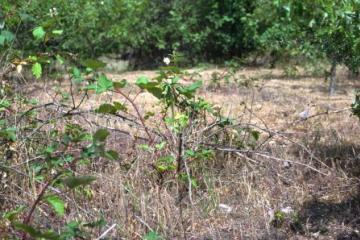 This is an important issue: lack of mowing or cutting means that the forage resources, herbaceous stems, fruit heads, drought and mineral-stressed bramble that many invertebrate species depend on is left in situ from one year to the next. Eventually of course, left alone, these habitats will become shaded out by scrub and gradually develop into secondary woodland, but this is equally true of most semi-natural habitats so valued by all conservationists and naturalists. No one questions the importance of ‘semi-natural’ priority habitats such as lowland heathland, lowland meadows, lowland calcareous grassland or the Breckland of East Anglia and yet the wildlife importance of high-value brownfield land remains under enormous threat. It frequently has a lot in common with these semi-natural habitats. Lowland heath for example is characterized by a range of dwarf shrub and/or acidic grassland vegetation occurring on dry, sandy, nutrient poor soils. This cultural landscape was created by forest clearance in Neolithic times and traditionally maintained as part of the working landscape by grazing, small-scale excavation of sands and gravels, turf and peat cutting and the gathering of gorse or furze for fuel. The nationally important region of lowland calcareous grassland on Salisbury Plain is also maintained by a combination of grazing, rotational cutting and disturbance by the MOD – there are important lessons to be learnt here in how we manage these habitats! 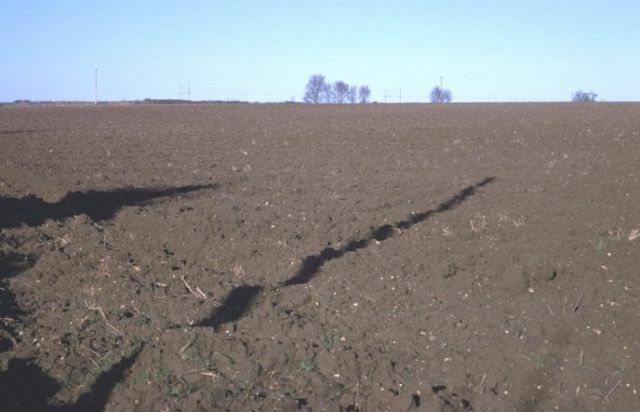 The nutrient poor soils, low level grazing (e.g. by rabbits) and sporadic disturbance of the habitat are frequently typical of what can be found on high quality brownfield wildlife sites. 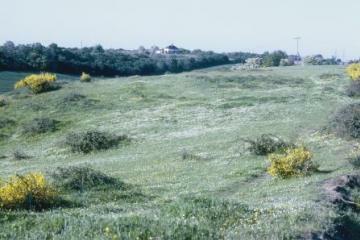 Much of the remarkable invertebrate biodiversity to be found in the Thames Gateway can historically be considered to be a fauna of Thames Terrace grasslands, but today there is a strong association with the habitat mosaic that develops on poor, drought-stressed substrates such as found in many abandoned sand and chalk quarries, post-industrial land, silt lagoons and fuel ash lagoons. The Essex side of the Thames has a series of south-facing escarpments between Purfleet in the west and Southend to the east, with various exposures of chalk, Thanet sands, Thames terrace sands and gravels and London clay. The Purfleet-Grays area also has a long history of chalk extraction, with old leases dating back to the sixteenth century and modern times have seen much more extensive extraction of chalk and sand resulting in many abandoned exposures of different ages. It seems likely that there is a very long history of ecological continuity, contrary to the view expressed by consultancies working for developers, who have described high quality habitats up to 50 years old as relatively recent in nature, dynamic in nature and since they are essentially man made, claim that they can be replicated through habitat creation and management – despite the fact that no two brown field sites are ever the same, with the development of habitats unpredictable and strongly related to the substrates and contamination present in different areas and subsequent disturbance. In structurally diverse and floristically rich sites that are isolated within a vast modern agricultural arable landscape the fauna may be unexpectedly poor, suggesting that isolation of populations is a key factor, at least for those less mobile invertebrates with the greatest nature conservation significance. The biodiversity associated with brownfield land in the Thames Gateway and other comparable regions elsewhere is likely to be a combination of the survival of metapopulations at a landscape scale, dependent on a continuity of flower-rich structurally diverse relatively unmanaged habitats developed on various abandoned post-industrial substrates on the edges of major conurbations, with an ability by these species to move into suitable habitats as they develop. The danger now is that the new large scale destruction of high quality brownfield wildlife habitats for development will rapidly reduce and isolate good quality habitat and populations of many species will become extinct (see Threats to brownfield and Destroyed sites). Harvey, P. (2000) The East Thames Corridor: a nationally important invertebrate fauna under threat. British Wildlife 12 (2): 91-98. Plant, C. W & Harvey, P. 1997. 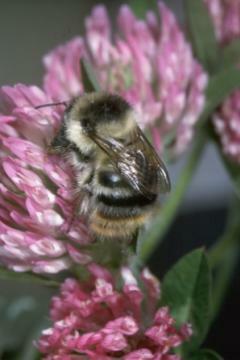 Biodiversity Action Plan. Invertebrates of the South Essex Thames Terrace Gravels - Phase 1: Characterisation of the existing resource (3 volumes). 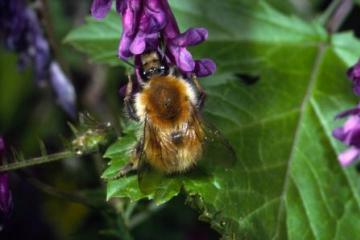 Unpublished report number BS/055/96 for English Nature, Colchester.